Accies started this season with a long list of injuries to key players. It startede with openside flanker Hugh Lindsay suffering from a perforated appendix, followed by complications. He was joined by several other players who had to sit out the first series of games. This resulted in defeat in the first 3 games of the season with a tough trip to Peebles followed by another tough encounter against a strong Dumfries team. This was followed by a trip to Edinburgh to face Stewarts Melville. A brilliant start to this game was halted with 4 injuries to key players and defeat. The run was stopped with a brave effort when the boys faced a tough team from Cupar. Howe arrived at Anniesland looking for a win to get their season up and running. A hard fought win seemed to be a good sign of development. However a tough journey to Biggar set the team back. So they faced the last game of the first half of the season came around. We were to play GHK under lights on a Friday night. Although Accies dominated the game they came out 6 - 5 down. This was a hard blow to the players. So the first 11 games had been played and Accies had a dissapointing record of won 2, lost 8 and drawn 1. Could the players and coaches turn this around. Accies sitting in the bottom of the league. So the boys and coaches went to work to sort out their game plan and the results started to flow. 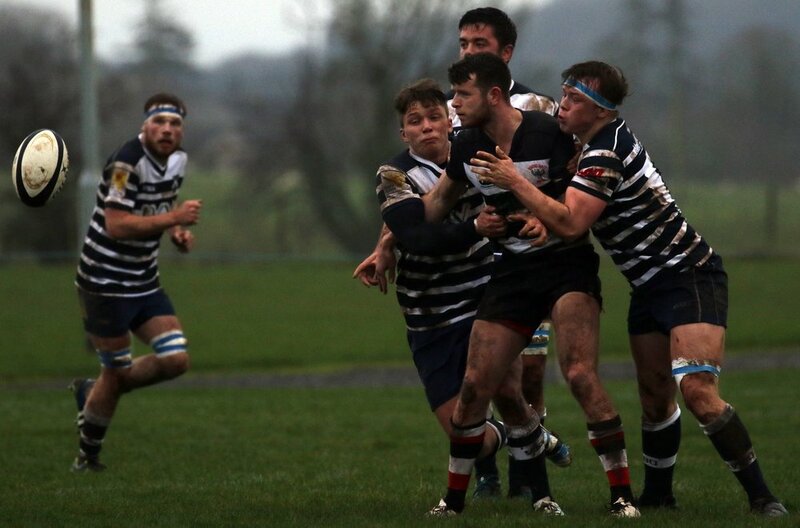 First up was the return fixture against Peebles and a brilliant 22 - 20 win was the result. A great start but tough games to come. A heroic battle away in Dumfries was narrowly lost and the visit of Stewarts Melville saw them return to Edinburgh with a win they hardly deserved. Would the players spirit be dampend. Well a very well deserved victory over Howe of Fife proved the doubters wrong. This side was showing real heart. Accies then had the visit of Falkirk and the revenge of the single point defeat - success and a very good victory. The game plan was coming together. However the team experienced a dissapointment when they scored 5 tries against Whitecraigs but lost by two points. This was followed by the two hardest games of the season. A great effort against both Biggar at home and Highland away resulted in no points but a great deal of pride. Accies now had to face Preston Lodge who had beaten them soundly at their home. Well Accies produced the game of the season and demolished them and showed how far the side had come since that game against GHK. They were entertaining the crowds as well as playing some superb rugby. Next up was revenge for the Friday night horror show. On a crisp spring day with the sun shinning and New Anniesland looking superb, Accies duly took their revenge. Superior in all aspects of the game they recorded their 5 win of the second half of the season. Including a try in the first minute. And a superb display from the backs. Final game of the season was the postponed game against Lasswade. A team fighting for survival, always a threat. Well on a cold, wet and generally miserable day Accies, short of 8 first choice players produced a truly brave and in the end, desreved win. 7 - 19 down with 5 minutes of the first half to go Accies managed to bring the score level before the interval. They also scored to only points of the second half with a penalty. A great conclusion to a tough season but put Accies into 7th place in the league. Played 11 won 6 lost 5 drawn 0 - what a terrific turnaround. Front row Greg Valentine Chris Woods Josh Waldin Hugh Lindsay Chris Johnstone (capt) Ross Cowan Jason Currie Kris Mathie Gordon McGuire.